"It's a terrifying thing to talk about"
Like Louis C.K. before him, Aziz Ansari spent a long time keeping quiet about his own sexual misconduct allegations while attempting to launch a comeback. 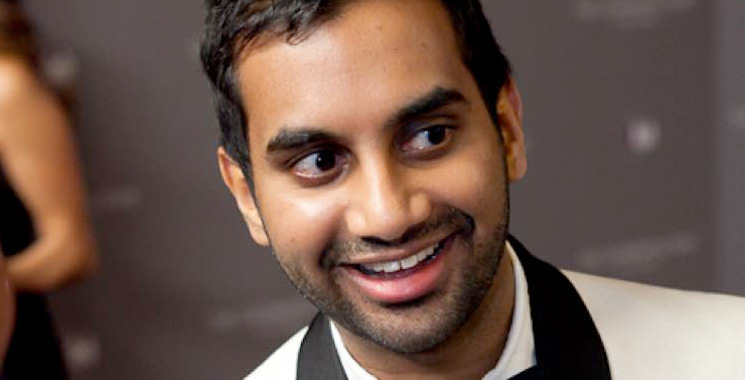 Unlike Louis, however, Aziz has now spoken out sincerely about the whole incident. While performing at New York's Village Underground on Monday (February 11), Ansari said he had been hesitant to speak out because he wanted to take as much time as possible to figure out what to say. "It's a terrifying thing to talk about," Ansari told the crowd [according to Vulture]. "There were times I felt really upset and humiliated and embarrassed, and ultimately I just felt terrible this person felt this way. But you know, after a year, how I feel about it is, I hope it was a step forward. It made me think about a lot, and I hope I've become a better person." He added that some of his friends had also reached out to say that the allegations had also made them reconsider the way they had acted on dates in the past. "If that has made not just me but other guys think about this and just be more thoughtful and aware and willing to go that extra mile, and make sure someone else is comfortable in that moment, that's a good thing," Ansari said. "I think it also just gave me perspective on my life. There was a moment where I was scared that I'd never be able to do this again." Ansari is currently in the midst of a comeback tour called "Road to Nowhere." The dates of the trek can be found here.